Position Location: Washington DC preferred. Exceptional candidates from other locations may be considered. Candidates must be available to travel extensively. 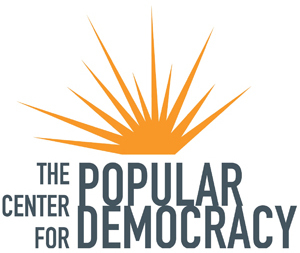 The Center for Popular Democracy/CPD Action (CPD/CPDA) is seeking an experienced electoral organizer to run a sophisticated training and support program for political staffers of our affiliates around the country. The Civic Engagement and Politics Manager will support our affiliates to develop and implement their political plans (c3 and c4), develop and coordinate gatherings where affiliate staff can meet as peers to share their best work and lessons, and deliver trainings that increase our network’s capacity in the field. The CE and Politics Manager will work as part of our Politics Team, supporting national strategy, but also investing heavily in the state by state priorities of our network affiliates, traveling frequently and identifying resources and opportunities for affiliates to improve their work. This position will run the Political Directors Cohort, in which lead political staff of each organization gather several times per year to share strategies and learn from each other. Working with our Data Director, the position will help our partners’ take advantage of the best voter technologies, and data to conduct their programs. The Manager will also work closely with our Organizing and Capacity-Building Team to coordinate programs offering support to affiliates. Coordinate with CPD program staff in other issue areas to find opportunities for aligned work and cross-campaign coordination. The salary range for this position is competitive and commensurate with experience. We have a generous benefits package, including health insurance, dental insurance, vision insurance, 15 vacation days per year, 10 sick days per year, 12 paid holidays per year, and contribution to individuals’ 401K plan.